Why moms all over the world are buying this? 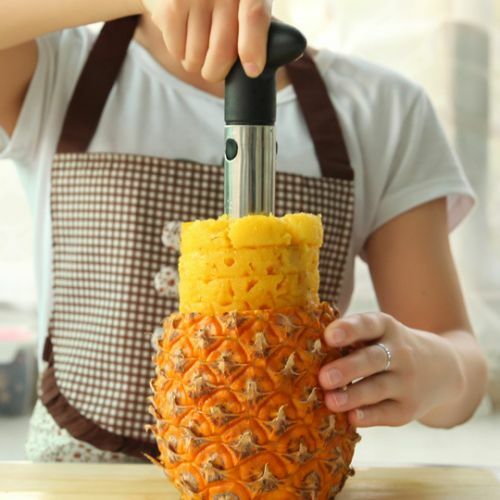 This Pineapple Slicer will core, peal and slice in one single operation! You'll have ready-to-eat slices in seconds! The Pineapple Slicer is easy to use. A must have for every pineapple lover! Just snap on handle, insert into pineapple, and twist. The results of your simple effort: one perfect spiral of sweet pineapple, complete with healthy juices!